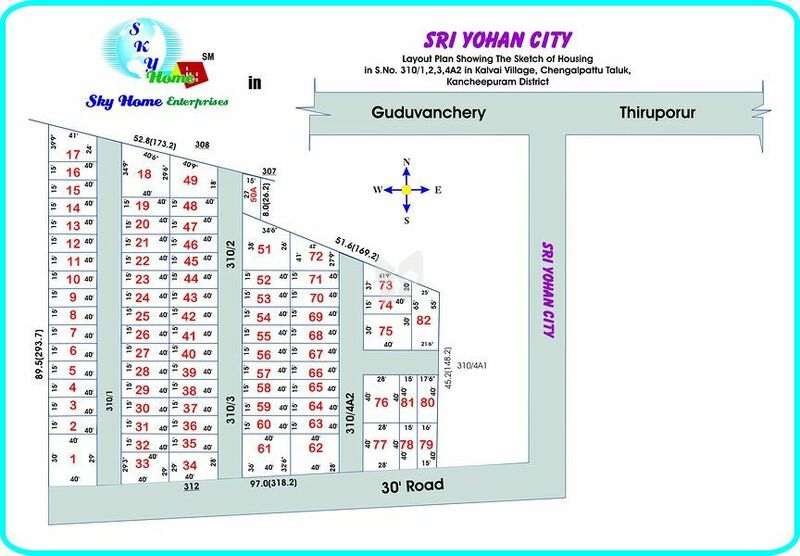 How Far is Sky Sri Yohan City? Launched by Sky Home Enterprises, Sri Yohan City, is a premium housing project located at Kanchipuram in Chennai. This project hosts amenities like Intercom Facility, Children's play area, Rain Water Harvesting, 24X 7 Security System, Avenue Plantation etc.